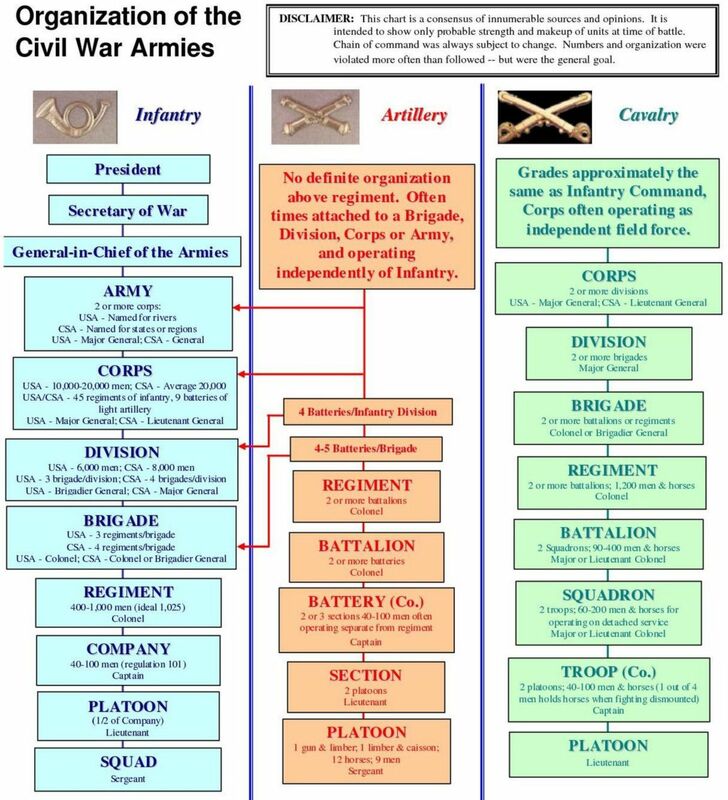 When army is mentioned many think of infantry only, but the army organization is one branch of service, or one military service that consists of many components, mainly infantry, artillery, and cavalry, which are known for their fighting capabilities. Of course there were several other lesser known components and specialized units, such as "SS" meaning sharpshooters. It is important to understand how each component functioned and how it performed within the army organization. Today's U.S. Army is closely aligned and structured with the army that fought during the Civil War. 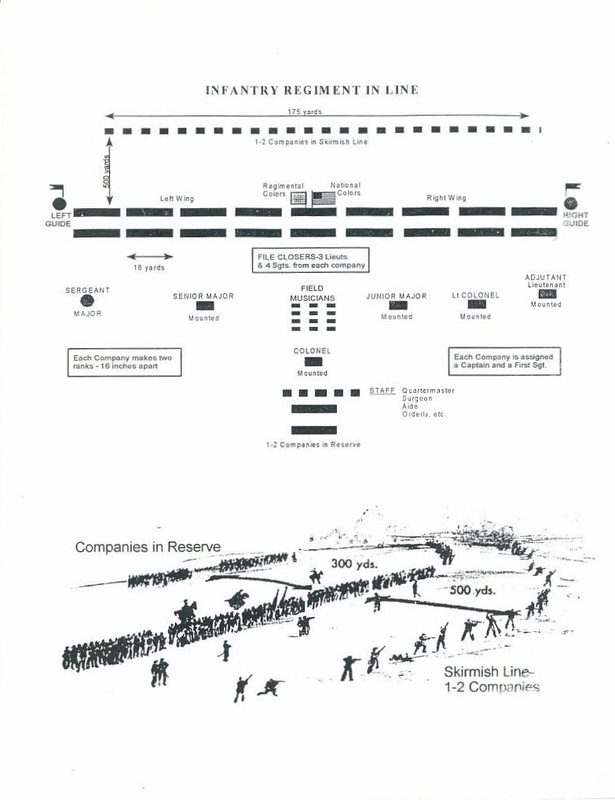 For example, the army still refers to certain components as cavalry. The largest operational unit during the American Civil War was referred to as an "Army" (Army of Northern Virginia; Army of the Potomac, etc.) and it was named for the department in which it operated. A total of 16 separate armies were formed by the Union and 23 in the Confederacy. 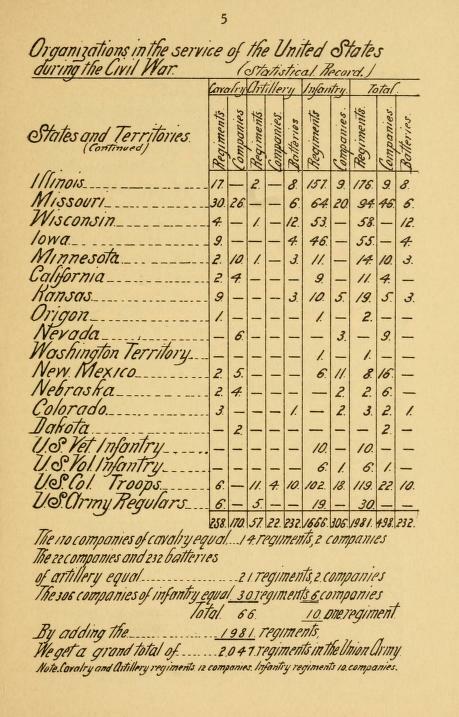 During the American Civil War, Northerners raised 1,696 infantry regiments, 272 cavalry regiments, 72 artillery regiments, and numerous independent and unattached units. 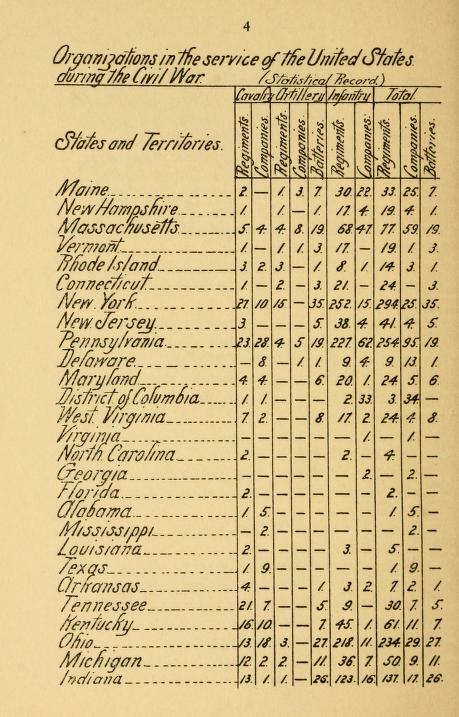 During the Civil War, the North generally named a battle after the closest river, stream or creek, and the South tended to name battles after towns or railroad junctions. Hence the Confederate name Manassas after Manassas Junction, and the Union name Bull Run for the stream Bull Run.